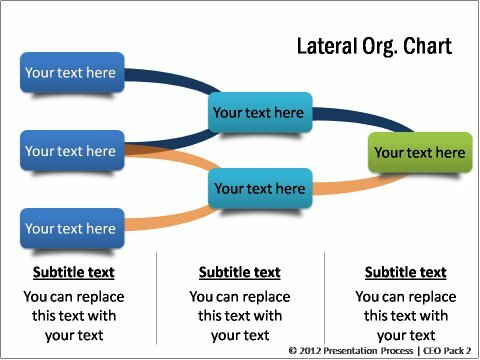 Take your hierarchy or organization chart in Smart-Art to the next level. 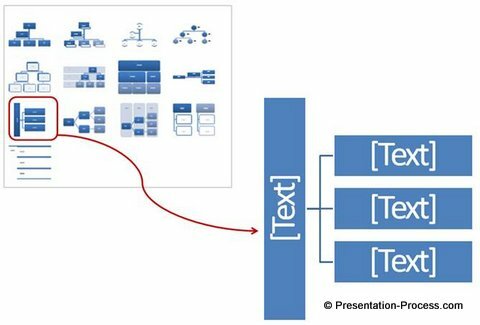 Discover creative ways to enhance the usefulness and effectiveness of the diagrams. 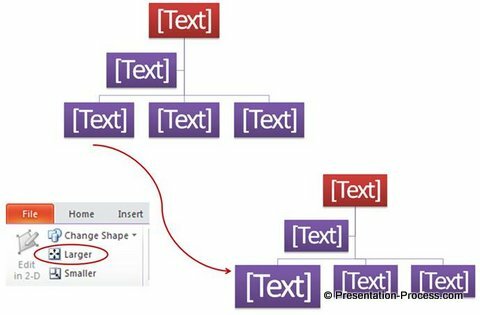 Tired of showing the same old Hierarchy chart in your slides? 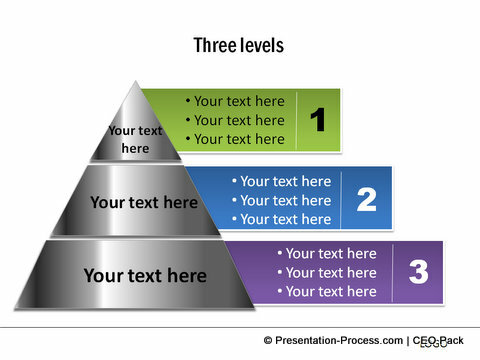 Though the diagram looks good, it is so overused, that it bores your audience. But, there are times when you want to present the structure bottom-up. For example, you may want to start by putting ‘client needs’ at the bottom; various ‘service touch points’ at the next level; and different ‘Service personnel’ who address the needs at those touch points at a level above. Can you use SmartArt in such cases? So, by just playing around with the positions of the boxes, you can create a useful variation of hierarchy diagram in no time. Employees in the same role need not have the same status as others. Some may be more experienced than others. Some may handle more responsibilities. Placing them all at the same level, without the necessary differentiation paints a wrong picture. 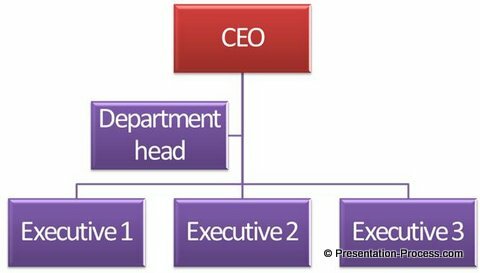 If you use the default structure of hierarchy in SmartArt you may not be able to indicate these differences. What is the option in such cases? 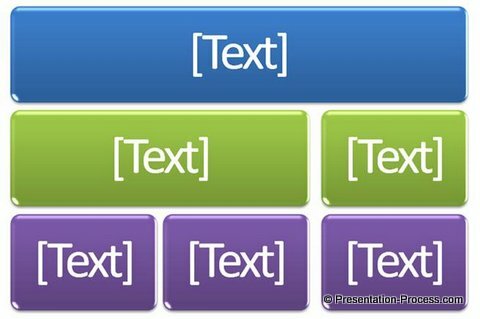 So, by leveraging the options in SmartArt fully, you can convey your message far more effectively. If you know that you can change the orientation of the layout using ‘Right to Left’ button under ‘Design’ Tab, you can create this useful variation. I heard someone say, “Experts don’t use different tools; they use the same tools differently”. The saying applies quite a lot to Smart Art. What you get out of the tool depends on how you use it. We understand that not all of us have the time to think of creative ways to use SmartArt. That doesn’t need to limit our choices for diagram selection. 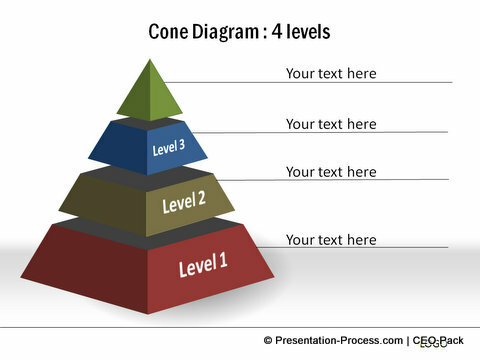 There is a smarter and easier way to choose remarkable diagrams for your business presentations. The interesting part is – all the diagrams in the pack are fully editable. You can change every aspect of the diagrams to suit your specific needs. 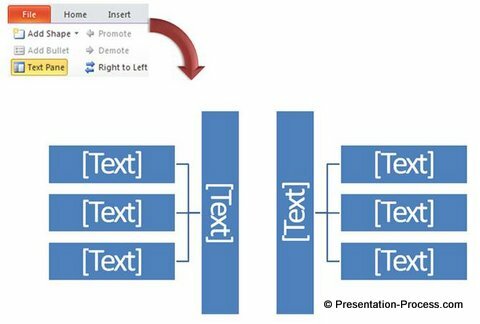 Just copy our diagrams to your slides and replace sample text. 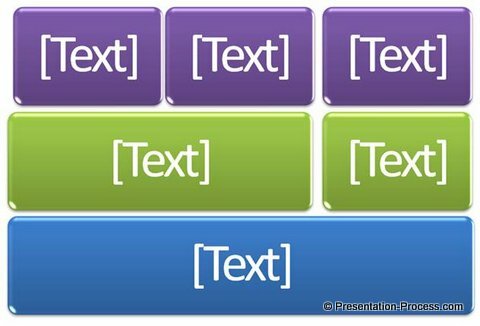 Your professional presentation gets ready in minutes. If you are a business presenter, our pack provides you all the options you need to create remarkable presentations. Please browse through our collection and see how the pack can change the way you create presentations forever.